Winter calls for some chic styling for kids. 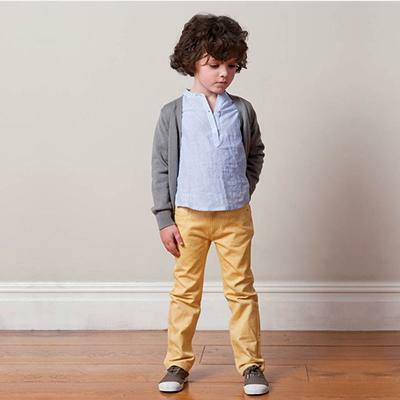 With trending winter clothing ideas, your little ones will rock every party in town. Stay tuned for a ton of ideas! Once again, winter is here to grace us with its presence. This time of the year gives us a pleasant break from the year-long heat and humidity. Young or old, everyone is fond of this season. We all know that children love dressing up in their winter clothes as it keeps them warm and cosy and our guide to styling kid’s winter wear is here just in time. 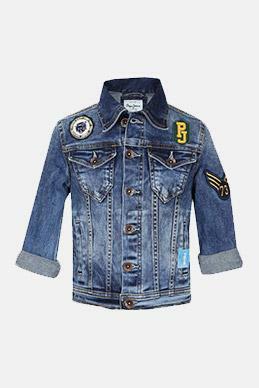 We have listed down winter trends for kids that will help them look stylish through this season. If there’s one piece of garment that can take us through the Indian winter’s, it’s our very own hoodie. Hoodies are the best layering accessory for winters and must have winter clothes for kids. They provide a snug fit and also help to keep the wearer cosy! 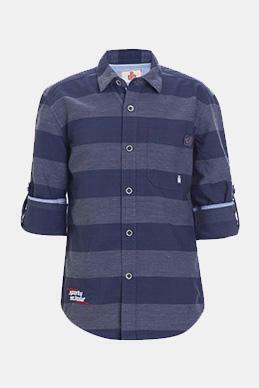 Boys can pair a printed or solid coloured hoodie with a t-shirt underneath and a pair of denim. You can complete your little boy’s outfit with a pair of printed socks and sneakers for all-around winter protection. Stylish and comfortable, cardigans are a winter staple. This versatile garment can be worn with shirts, t-shirts and even turtlenecks! 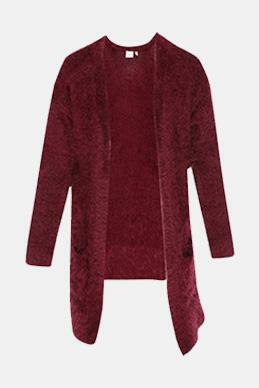 Choose a cardigan in a neutral shade, so it can easily match all your outfits. Not only does it feel cosy, but it also gives the outfit an edgy look. If the temperature drops outside, make sure your boy shuts all the buttons, so he can stay warm. The classic combination of wearing dresses with a pair of stockings is a wintertime saviour. Stockings help keep your child warm when it’s cold outside. You can also choose woollen stockings for your girl if the temperature continues to drop. They are versatile, making them go well with most dresses, be it lacy, floral, solid or embroidered! Bright coloured stockings are gaining major popularity in kids winter trends. You can also style your kid’s winter wear look with statement boots. If your little one wants to achieve the cool girl look, there’s nothing better than a leather jacket that can do the trick for her. 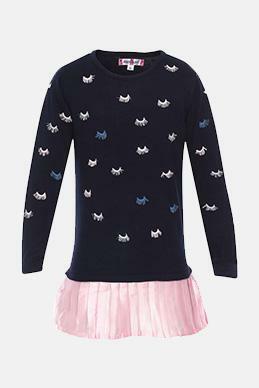 It is chic, stylish and can also keep your little girl warm. 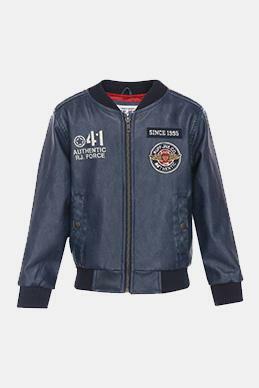 The leather jacket can add a touch of fancy to something as simple as a plain white t-shirt and a pair of denim. 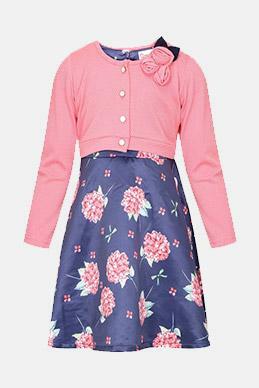 For a more feminine look, pair the jacket with a cute floral dress and watch your child enjoy the winter mornings! 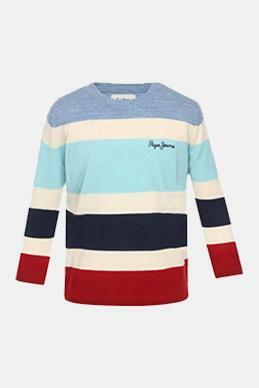 It’s time you take inspiration and dress your child up in the most stylish winter wear. Checkout our next Article "Pantone’s 2019 Colour Of The Year – Living Coral"